Q: For how long can I drive in Trinidad and Tobago with a foreign/International driver's licence or permit? A: This information was extracted from the Motor Vehicles and Road Traffic Act 1934, as amended. 55. (1) The holder of an international driving permit issued elsewhere than in Trinidad and Tobago, in accordance with the provisions of any International Convention relating to the international circulation of motor vehicles which shall have been applied to Trinidad and Tobago, shall, whilst such permit remains valid, be exempted from any requirement to hold a driving permit under this Act to drive in Trinidad and Tobago; but he shall only be entitled to drive in Trinidad and Tobago a motor vehicle of the class for which he holds an authorisation to drive in the country in which his international driving permit was issued. 56A. (1) Notwithstanding section 42(1) the holder of a valid driving permit issued in any country referred to in subsection (2) shall, whilst such permit remains valid, be exempted for a period of three months from the date of his arrival in Trinidad and Tobago from any requirement to hold a driving permit issued under this Act to drive in Trinidad and Tobago; but he shall only be entitled to drive in Trinidad and Tobago a motor vehicle of the class for which he is authorised to drive by the permit of which he is the holder. 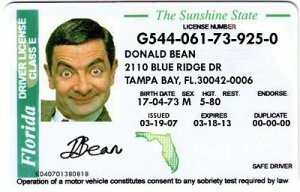 (3) The holder of a valid driving permit referred to in subsection (1) who drives or is in charge of a motor vehicle on any road shall have such driving permit on his person or in the motor vehicle together with any travel document on which is certified his date of arrival in Trinidad and Tobago for production as required by subsection (4). Q: Since photos emerged of two armed civilians believed to be the minor children of Attorney-General, Faris Al-Wari, I have been asked if any laws have been broken. 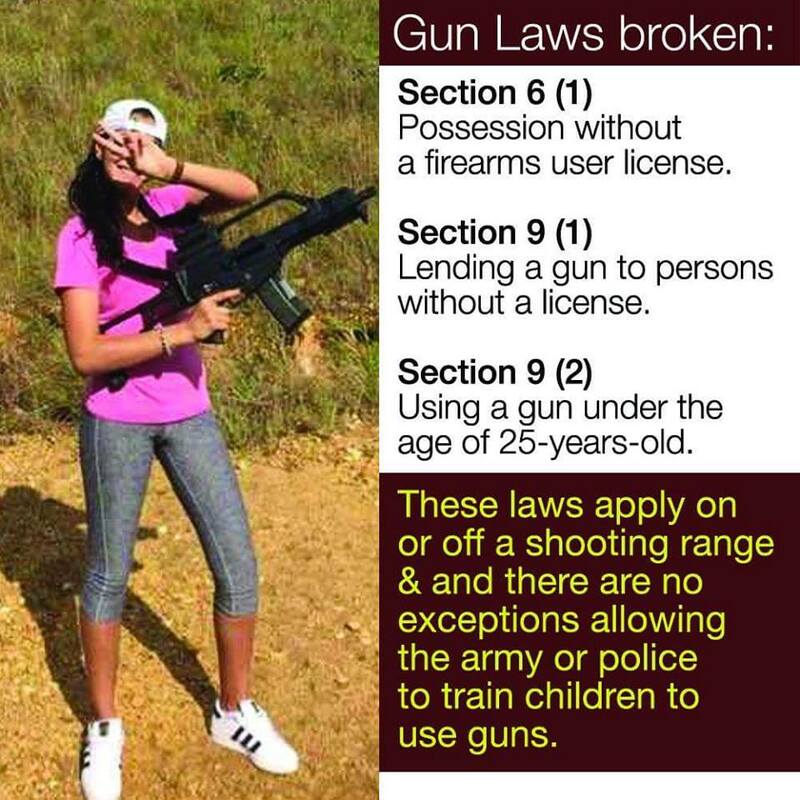 A: Yes, Several laws have been broken. 8. 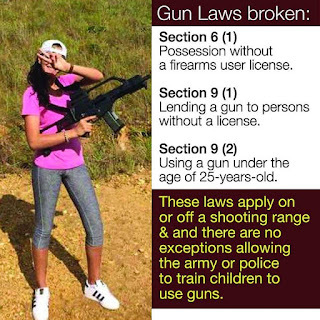 (1) A person who gives, sells, lends or rents a firearm or ammunition to a child commits an offence and is liable on summary conviction to a fine of fifty thousand dollars and to imprisonment for ten years. 6. (1) Subject to section 7, a person may purchase, acquire or have in his possession a firearm or ammunition only if he holds a Firearm User’s Licence with respect to such firearm or ammunition. (b) on conviction on indictment to imprisonment for fifteen years. (d) under the age of twenty-five years. On 30th January 2015, Senior Counsel and former Attorney-General, Anand Ramlogan introduced into parliament, The Bail (Amendment) Bill 2015. Before that, on 18th January 2015, I wrote, in my weekly Sunday column in the Newsday, an article entitled: Denying bail is denying justice. In it, I explained why the automatic 120-day no-bail clause was Unconstitutional, null, void and of no legal effect. 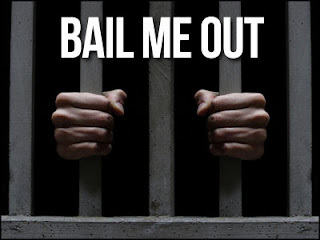 However, in blatant disregard for the provisions of the Constitution, The Bail Amendment Act 2015 was assented to and came into effect on 29th April 2015, with a ‘sunset clause’ in place for the Bill to expire on 15th August 2016. Prior to the Bill’s expiration, the current Attorney-General, Faris Al-Wari attempted to convince the People’s Partnership (PP) opposition (under whom the Bill was first passed) to extend the Bill beyond the expiration date – a further two (2) years to be exact. Prior to this, on 26th June 2016, I wrote another column entitled Bail Amendment Dishonesty exposing the knowing and deliberate infringement of the Constitutional rights of individuals in our society by both the People’s National Movement and the PP whenever they got the opportunity. In parliament, on 1st July 2016, my article was referenced by UNC opposition member David Lee, MP for Point-a-Pierre on page 158 (http://www.ttparliament.org/hansards/hh20160701.pdf) to justify the Opposition’s refusal to extend the Bill’s existence as per Faris’ request. Almost two years later and after hundreds were arrested and denied bail, the High Court - from the mouth of one of the most progressive, knowledgeable, fearless and unbiased judges in the country, Justice Carol Gobin - finally declared that the automatic denial of bail is in fact unconstitutional. The full judgement is not yet available online, but you can read the newspaper reports in the Newsday and the Guardian. It is important to note that after passing a law he KNEW to be Unconstitutional, Anand Ramlogan was the attorney representing one of the people bringing the claim. So he passed an 'illegal' law and then turned around to benefit from that illegality. Have you ever seen or heard of anything more dishonest and crooked? And not only does this mean that anyone held under this law can no longer be unlawfully held without reason, it also means that they can sue the state for their unlawful detention – another burden on tax payers during this time of economic crisis. The government caused this and now WE, THE PEOPLE, have to pay. What this proves Trinidad and Tobago is that we cannot even trust the highest ranking legal minds in this country because they are ignorant and dishonest. These two men, Anand and Faris, held/hold the highest legal office in the government and although they should be doing what is best for Trinidad and Tobago, they continuously deceived us to conceal their incompetence and inability to deal with crime. The PNM and the PP CANNOT be trusted. Do not continue to let these lying dictators run this country.